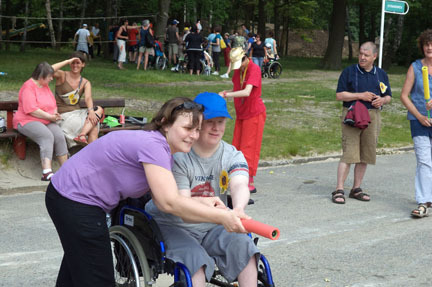 ‘Ons Tehuis-Brabant’ (OTB) is a place where people with a mental disability can live and work in order to enhance their quality of life. As a volunteer you will not only learn to work with people with a mental disability, you will also become part of their world and will get to know these people on a very personal level. The project, with EI-ref 2010-BEFL-24, will start on mid February 2013 and ends on end of July, 2013, lasting 5,5 months. The deadline to apply is November 2, 2012. Project environment: You will be living in a host family close to the project. The family hosts a participant on a voluntary basis. They provide shelter, meals and a warm home. The facility is located in a very green area and is not very easy to reach with public transport. However, it is within cycling distance (3km) of the nearest village. Kampenhout itself is a calm village that is not far from a number of bigger cities. With public transport, you can easily get to Mechelen, Brussels and Leuven. Tasks: You will be involved in the physical department. This department consists of ‘movement’ (organizing the movement and sports activities in the center) and the physiotherapy department (therapeutic movement exercises, movement aids… ). In this way, you will cooperate with a small group of people, which will facilitate the continuity. Sometimes there will be activities that go beyond the physical department and you will need to assist in that as well. You can organize some activities related to your country, language, culture.